Learning the pleasures of skiing in all simplicity, conviviality and safety ... Yann welcomes you every day in his campervan arranged in surf school from April to november on the beach of the Lion (super south). 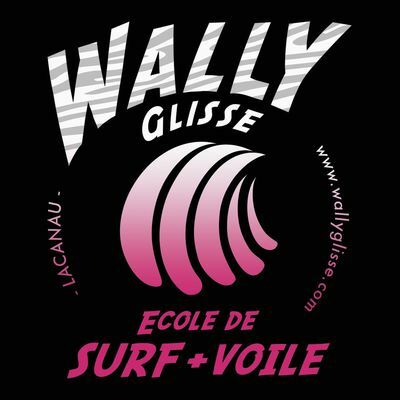 Surfing school Wally Glisse offers surf, bodyboard and longboard classes for all levels and ages with insurance included and high-end equipment. There is even the possibility of organizing "sunset" sessions at sunset! You can also rent only the equipment. What is great: video tracking to film progress and debrief at the end of the course. Remember to bring a USB key to recover the images at the end of the course! Unforgettable memories to show the friends on their return from the holidays! À recommander. Beaucoup de pédagogie et de patience. Plein de bons conseils. Prise en charge super sympa par toute la famille !!! !